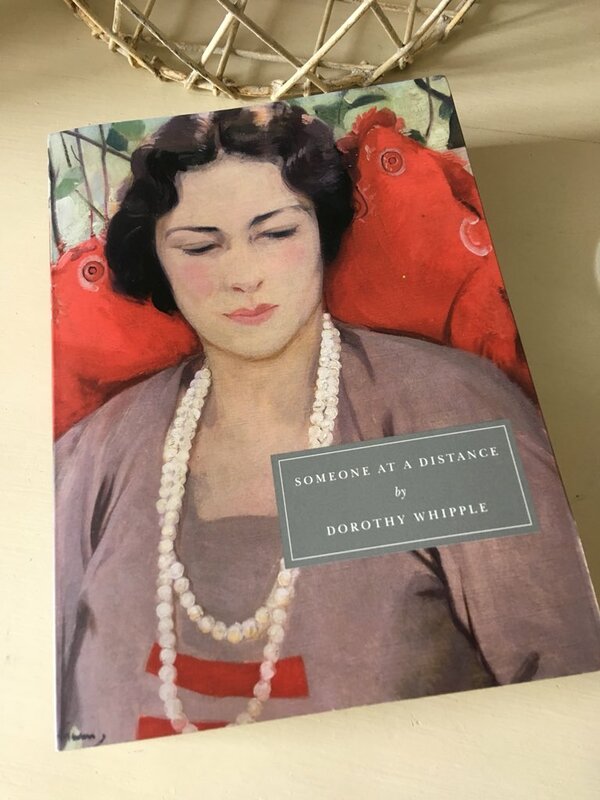 Originally published in 1953, Someone at a Distance is my first experience of Dorothy Whipple’s work. The central story is a timeless one, focussing as it does on the systematic destruction of a loving marriage – and yet, Whipple captures everything with such insight and attention to detail that it all feels so compelling, pushing the reader forward to discover how the narrative will end. It’s certainly one of the most absorbing novels I’ve read this year. The novel centres on the North family – principally Avery North, a handsome, successful partner in a London-based publishing company, and his kind, considerate wife, Ellen. The Norths, who are in their early forties, have two children: eighteen-year-old Hugh, who is in the midst of completing his National Service, and fifteen-year-old Anne, the apple of her father’s eye. While Anne spends much of the year away at boarding school, during the holidays she returns to the Norths’ beautiful home in the suburban countryside where she is devoted to her horse, Roma. With domestic help being hard to come by following the changes ushered in by the Second World War, Ellen is kept busy with domestic duties, taking care of the house – Netherfold – and the burgeoning garden. She has little interest in attending parties or literary events associated with Avery’s job. In fact, being a rather shy, unassuming individual at heart, she eschews these social gatherings in favour of staying at home. In any case, Avery – a good networker – is well able to make useful contacts and relationships for himself. Ellen’s preoccupation with her home and immediate family also leaves little time for Avery’s mother, old Mrs North, an elderly widow who lives in her own house (The Cedars) nearby. Much to the old lady’s annoyance, there is always some pressing engagement or activity on the horizon for Ellen whenever she comes to visit – a situation that leaves Ellen feeling rather guilty whenever she has to rush away. To all intents and purposes, the young Norths have the perfect life. Ellen and Avery seem to love one another dearly; they have two wonderful children, a beautiful home and a comfortable lifestyle. In short, everything in the garden appears to be wonderfully rosy. However, everything changes when old Mrs North hires a young French girl, Louise Lanier, to keep her company at The Cedars, and to pass on something of the language here and there. Right from the start, it is abundantly clear to the reader that Mademoiselle Lanier is trouble. A spiteful and selfish minx at heart, Louise Lanier has come to England to get away from her former secret lover, a local dignitary who rejected Louise in favour of marrying a woman from his own social class. In short, Louise is looking to avenge the humiliation she believes she has suffered as a way of proving her worth back in France. Slowly but surely, Louise inveigles her way into the lives of old Mrs North, Avery and Ellen, spreading her own particular brand of poison very carefully as she goes. There is an early hint of it here in this scene after Christmas dinner in which Louise passes judgement on Anne North who looks very attractive in her new white tulle dress. ‘Oh, she is very pretty,’ repeated Louise. ‘She will go a long way.’ She drew on her cigarette and threw the end of it into the fire. ‘If she is careful,’ she said, exhaling smoke through her nostrils. Nevertheless, old Mrs North is taken in, buoyed by the company of Louise and her considerable interest in getting dressed up. The fact that Louise encourages her employer to make the most of her appearance does not go amiss. As a consequence, when the old lady dies, Louise finds herself a beneficiary in the will to the tune of £1,000. Not that Louise spares much of a thought for her former companion – after all, she had to go at some point, so it might as well be now. Unfortunately for Avery and Ellen, Louise comes to stay with them at Netherfold while old Mrs North’s estate is being settled, and it is at this point that she really starts to get her claws into Avery. Out of pure spite and viciousness, Louise sets out to deliberately ruin the Norths’ marriage, capturing Avery as some kind of trophy in the process. While there is no doubt that Avery is a loving husband and father, he is also infallibly human – something Louise leverages when he shows a flicker of attraction to her. All too soon, Ellen and Anne catch Avery in an unguarded moment with Louise, and their image of him is shattered. The situation then escalates very quickly leaving Avery utterly ashamed of his behaviour but too proud to make amends – a plight that turns Ellen’s world upside down, forcing her to rethink her life and position as a wife and mother. Meanwhile, Louise is revelling in the prospect of being able to avenge her former lover, Paul, now happily married and settled with his new wife in their hometown of Amigny. In writing Someone at a Distance, Whipple has created a very good novel about the fragile nature of love and the lives we build for ourselves. After a few moments of passion and desire, the idyllic nature of the Norths’ existence is fractured forever. The main characters are drawn with understanding and insight, and their motives explored with a real sense of depth – points which make the core story feel all too believable for its day. While the consequences of Avery’s foolish indiscretion with Louise would probably play out somewhat differently today, the social stigma associated with such an incident was very different back then. Nevertheless, the emotions of shame, humiliation and rejection that Whipple explores are undoubtedly timeless – factors that ensure the novel retains a relevance in the contemporary world. There are times when it is almost too distressing to observe the impact of Louise’s behaviour on each member of the North family as she uncovers and exploits their individual vulnerabilities to her own advantage. In addition to her admirable fleshing out of the main characters, Whipple also does a fine job in painting the secondary players in the mix. Individuals like Mrs Beard, the formidable manager of a local hotel/care home, whose demeanour is signalled by the following brief description. Louise’s humane parents are beautifully drawn too, the humble, straightforward nature of their lives in small-town France contrasting sharply with their daughter’s unnecessary airs and graces. Louise makes it quite clear to the Laniers that they will never be good enough for her, their status as shopkeepers being less than ideal. All in all, this is a very fine novel, one that may well suit fans of writers such as Elizabeth Taylor and Elizabeth Jane Howard. It also represents my contribution to Jessie’s Persephone readathon – more details here. 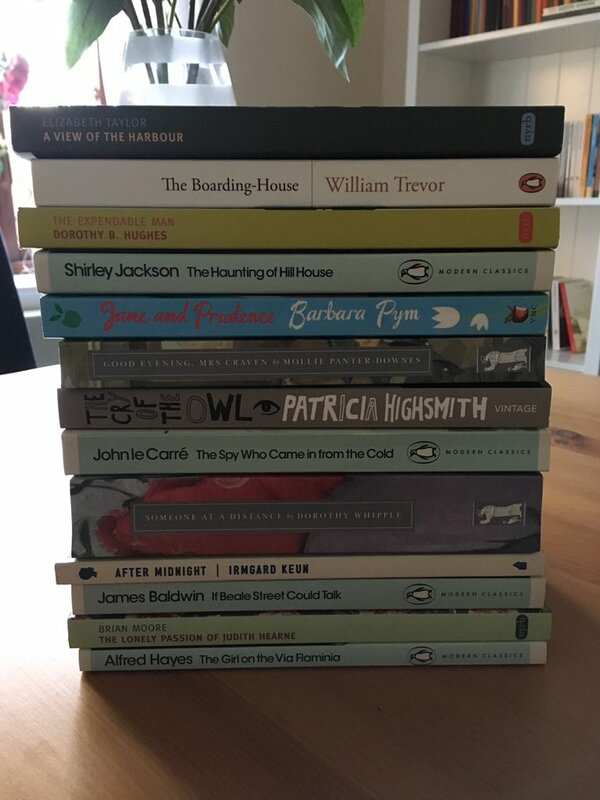 This entry was posted in Book Reviews, Whipple Dorothy and tagged #ReadWomen, Book Review, Classics Club, Dorothy Whipple, Fiction, Persephone Books, UK on September 25, 2018 by JacquiWine.